Many of our customers are starting their kids in organized football at a very early age. 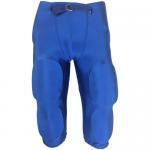 One of the key apparel items, football pants, has become much easier to purchase and keep track of with the introduction of the integrated pant. 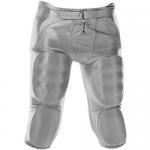 These pants have the pads already sewn in and make it easier for your child to get dressed for the game and for you to launder them after the game. 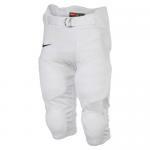 We carry these pants from top brands like Dmaxx, Nike, and Russell in sizes ranging from XXS to 3XL. They come in practice and game fabrics, with the Dmaxx pant with it's 4 way lycra stretch, excellent fit, shiney fabric and great price being our current favorite. 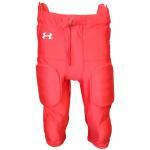 We also carry practice and game pants that require the additional purchase of either seven piece pad sets or individual pads and girdles.